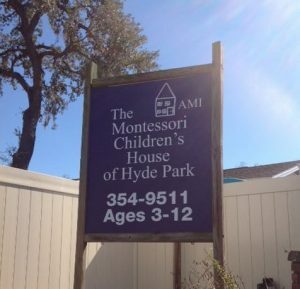 Welcome to The Montessori Children's House of Hyde Park! We appreciate your interest in the Montessori Children's House of Hyde Park. Finding the right school to meet your child's educational needs can be an overwhelming experience. We hope that our admissions process makes your decision easier. During this time, we will provide you with an introduction to our school, classroom environments, and philosophy. We look forward to getting to know you and your child during this stage. At The Montessori Children's House of Hyde Park, we are committed to excellence and to providing your child with an education for life.